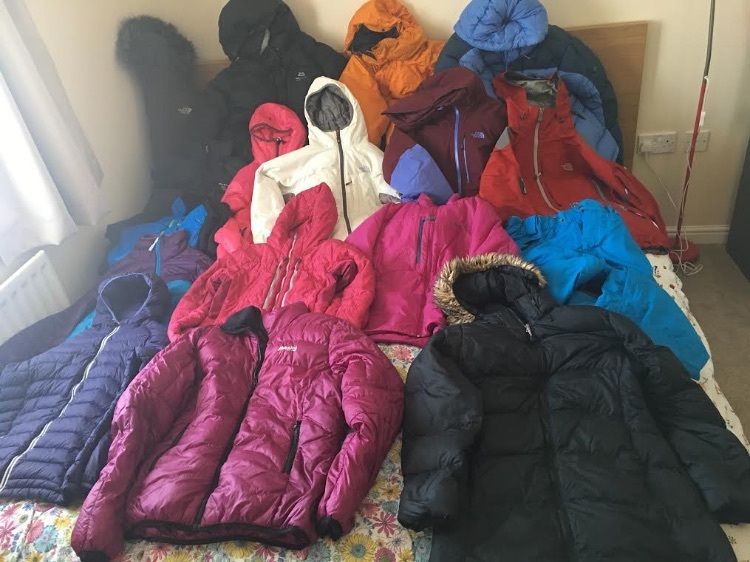 UKC Forums - Bucketloads of jackets!! my friend is still running her used gear shop and has asked me to list these for her. She kindly sent me the photo but not all the details so I'll post what I know and update tomorrow at some point. Then I don't now what the purple and blue jacket is, but the pink one with white zips next to it is a McKinley ladies hybrid jacket, no idea of the size. Details to follow. Again not 100 percent but the blue one with the white zip is a McKiney ladies down jacket, not sure of the size. Details to follow. I'll get full descriptions and more info on each jacket as well as pictures etc for interested parties. I'm sure she is open to negotiation but she is in no rush to sell and happy to wait and get a premium for them in winter.